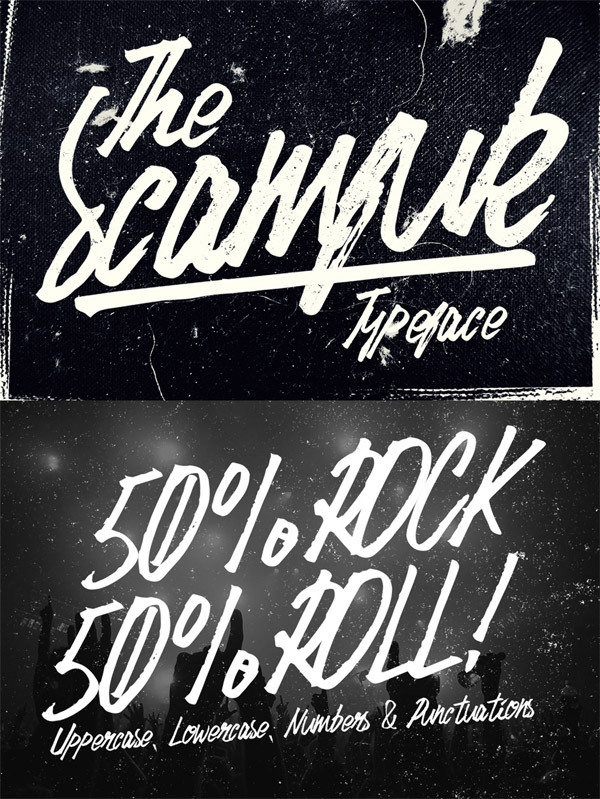 This is by Far the Best Fonts Bundle I’ve Ever Seen! 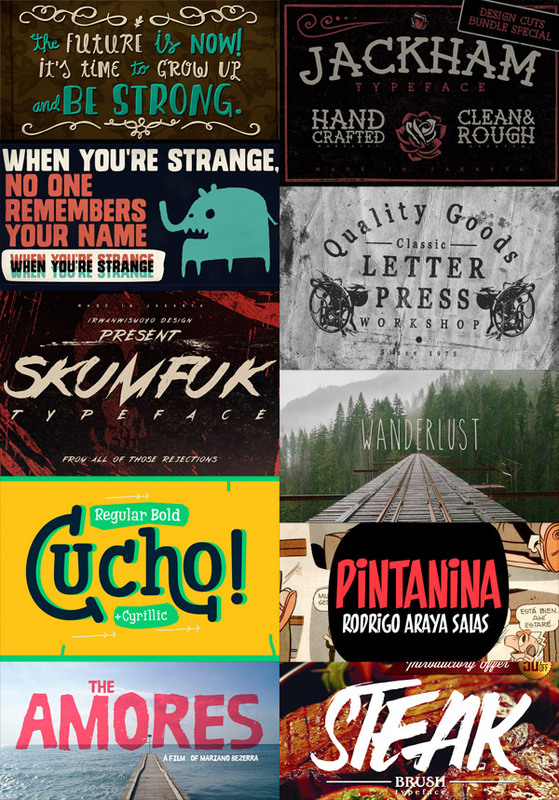 I’ve seen some enticing deals recently but this Artistic Fonts Bundle is by far the best collection I’ve ever seen! $400 worth of absolutely gorgeous fonts discounted by a whopping 93% makes this the best $29 you’ll ever spend. 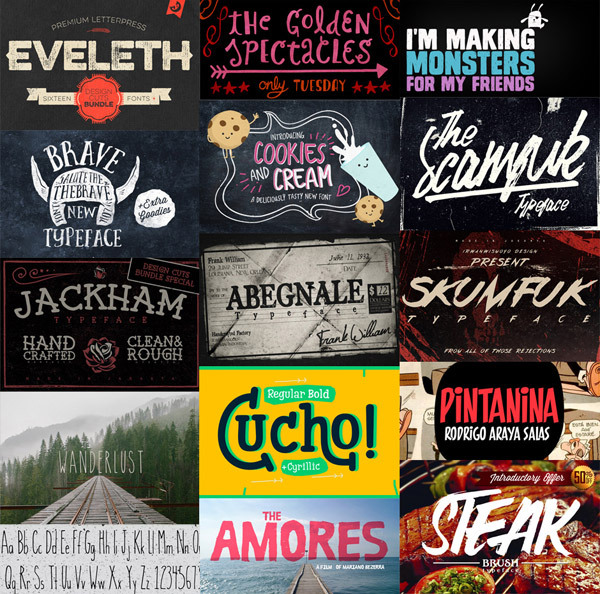 This bundle features 14 hand crafted fonts, all of which are competing as my favourite! There isn’t one typeface that I’m not itching to use in a future design project. Here’s a brief overview of the amazing fonts you can get your hands on. This bundle is something really special, bringing you 14 best-selling, creative font families, complete with web fonts, extended licensing and tons of extras – all for a whopping 93% off. 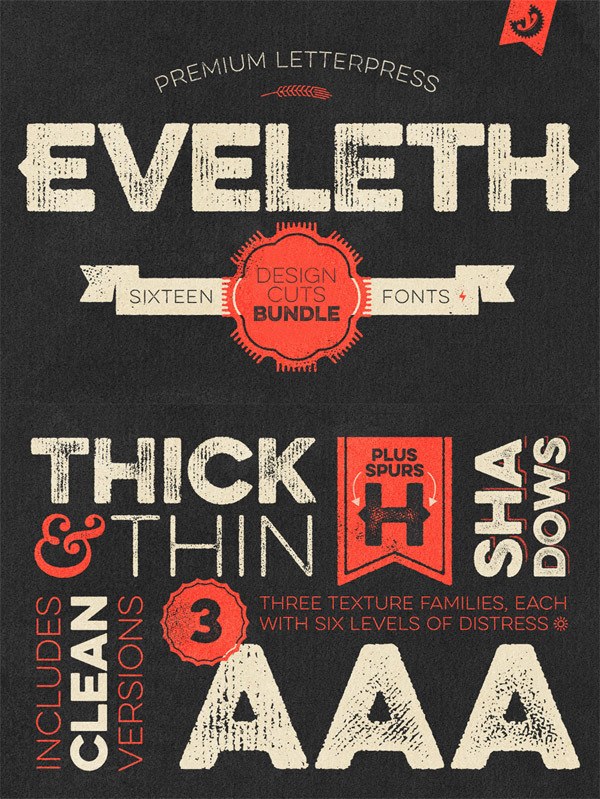 The font families in this bundle are all best-sellers, and really popular even at full price. Normally you’d be lucky to get one font of this quality for $29, let alone 14! Eveleth really is the swiss army knife of fonts. This one comes in so many weights, styles and variants you could probably use it for any design! It’s based on vintage letterpress effects and offers six distress options, a thin weight variant, a shadow layer effect, the option to add cool retro “spurs” and a complete set of funky icons & useful shapes. I recently posted a tutorial on how to create typography illustrations using hand draw style fonts. 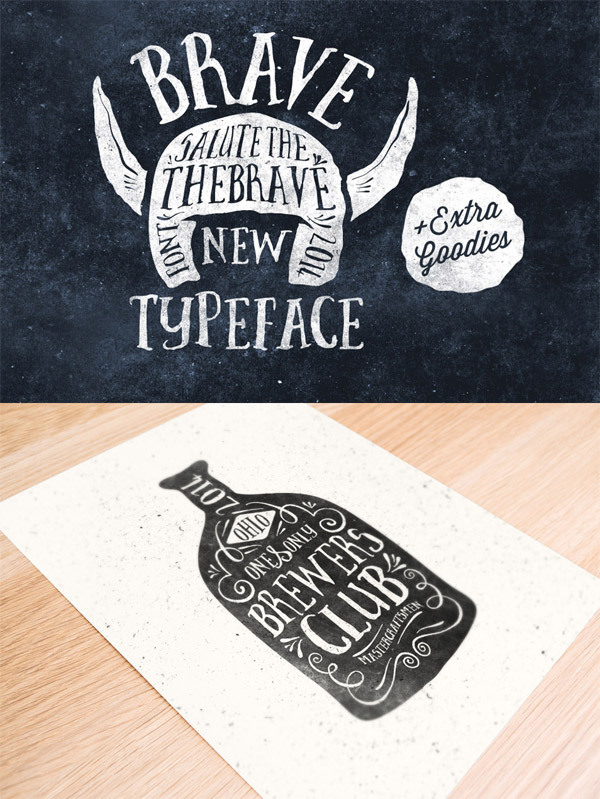 The Brave New Font from this bundle is the perfect match for such designs, it boasts a sketchy illustrated style and even comes with a seamless texture to apply to your artwork. Scamfuk is just full of dirty punk rock character. It’s a really rough brush script with a grungy distressed style that feels right at home when combined with the most trashy textures you can find. This font would be perfect for creating an underground band poster, which would also be a great use for the bonus vector skull pack that comes with it. This font is definitely as tasty as it sounds! 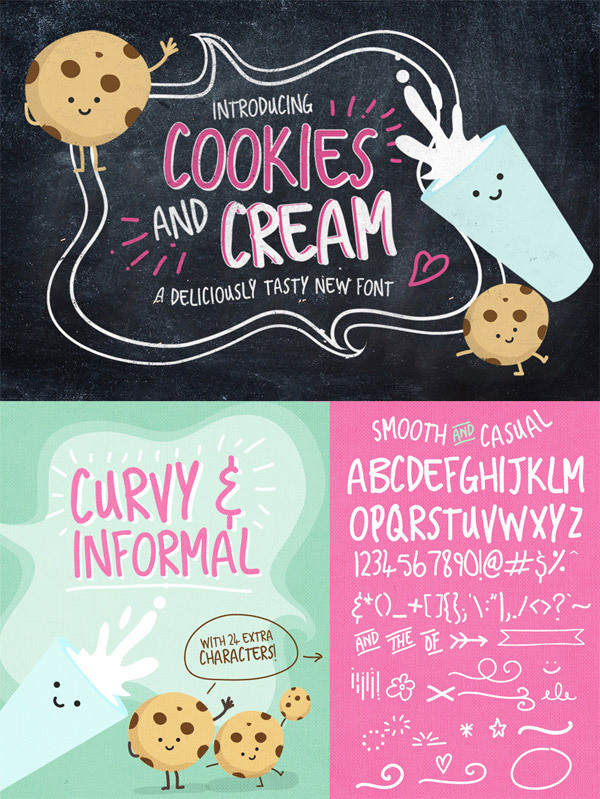 Cookies and Cream is a fun, quirky and casual hand drawn font that can be used to create some really cute designs. This is another font that is also packed with additional glyphs, making it easy to add fun doodled elements that perfectly match the style of this typeface. Too many gorgeous fonts to feature! I’d be happy to pay $29 for any one of these fonts, but there’s actually loads more best selling items included in this massive bundle. Be sure to check out the full description to see the complete range of fonts and the numerous bonuses included, such as the web fonts and extended licences. Unbelievable offers like this don’t stick around for long so grab it while you can! Some of very funny and some are great fonts here. Like all font. I was actually looking for something close to the scamfuk typeface. Got it finally. Thanks for sharing!